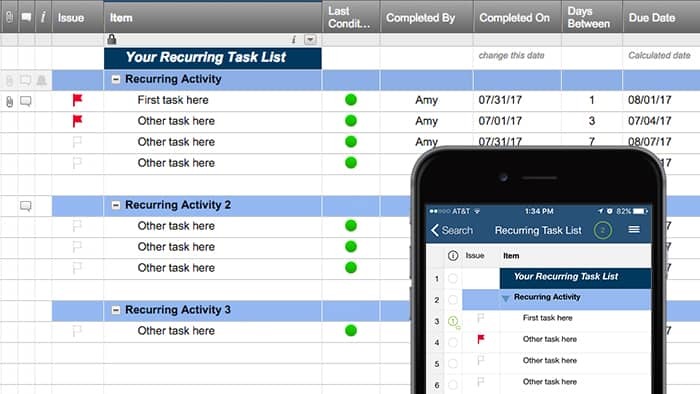 Smartsheet is an easy-to-use, online task management software, that will enable your company to be more productive than ever. 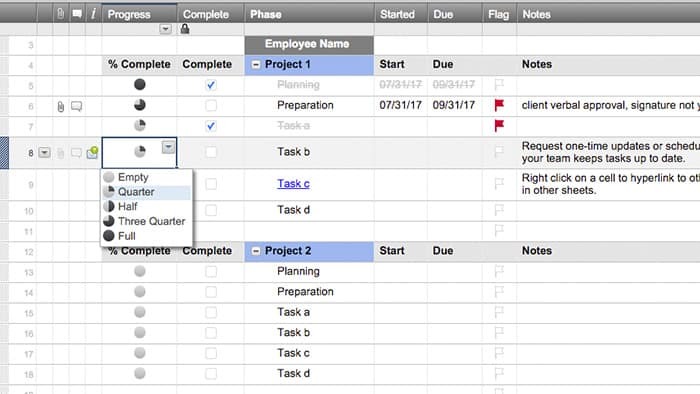 Available on multiple platforms, and integrated with the tools you already use, Smartsheet provides access to task lists at any time, from anywhere. Improve efficiency when managing tasks and projects of all sizes. Turn plans into action and reduce needless meetings and email. Manage work in real time. Access task and to-do lists, files, calendars, and comments from any device, wherever you are. Share your work with an infinite number of collaborators to ensure that everyone is on the same page with one location for the truth. Boost your productivity with an intuitive, familiar task list tool that your team can start using immediately. See status updates and collaborate on work in real-time. Manage remote teams and access tasks from anywhere, on any device. Share task lists with internal and external teams using a range of sharing permissions. Include comments and file attachments to keep work in context. View your task list your way. 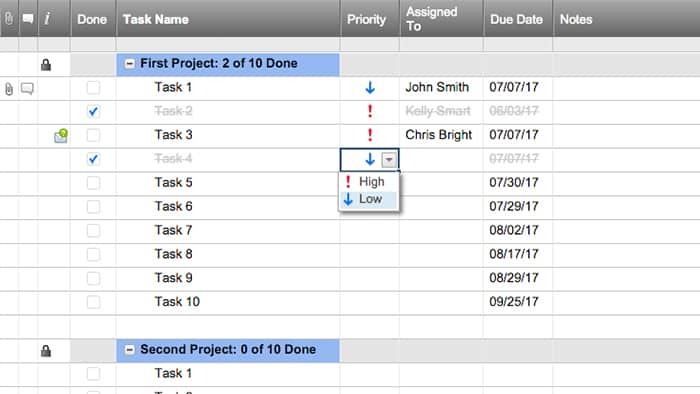 Use Grid to organize tasks; Gantt to create timelines; Calendar to visualize due dates; and, Card to create online Kanban task boards. Create tasks and subtasks, and assign items to individuals on your team. Schedule tasks, set dependencies, and include alerts and reminders. Build custom reports and dashboards to identify tasks that are due, at-risk, or not yet assigned. Track status and metrics across your to-do lists in real time. Automate recurring reminders, alerts, and notifications to be sent via email. 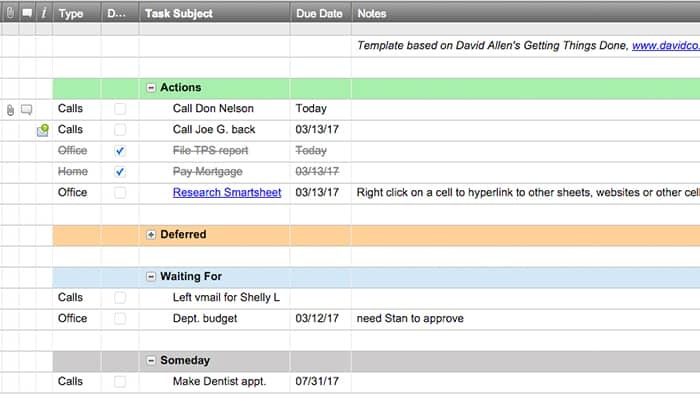 Use color-coding and symbols to identify priorities and upcoming due dates. Keep your task list at your fingertips when you’re on the go. Access and update tasks with mobile application for Android and iOS devices, including phone and tablet. Connect your work with the tools you already use like Google Apps, Box, Dropbox, Jira, Microsoft O365, DocuSign, Salesforce, and more. 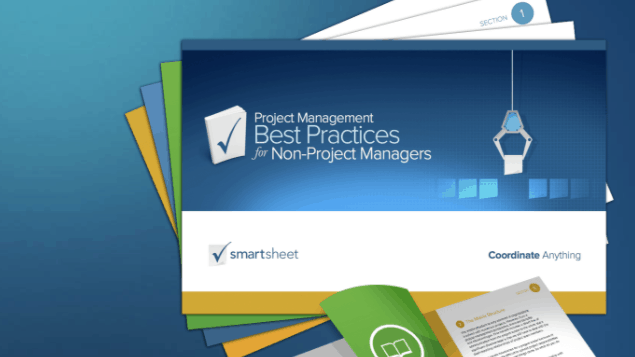 Learn the difference between task list and task management applications & how to choose the right tool for your projects. Read the top ten task management themes to improve work management processes. 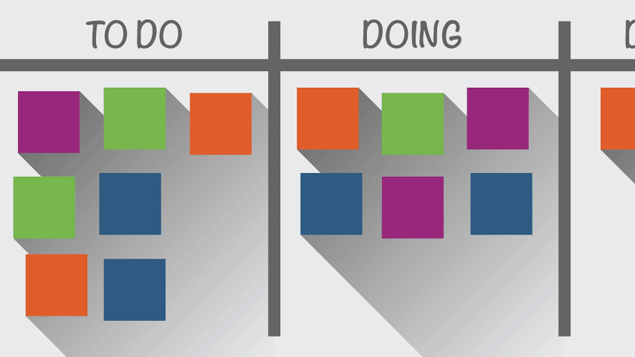 Discover how to use Kanban boards to optimize task management and workflow to increase productivity. Learn basic project management techniques and how to implement them to work more efficiently. 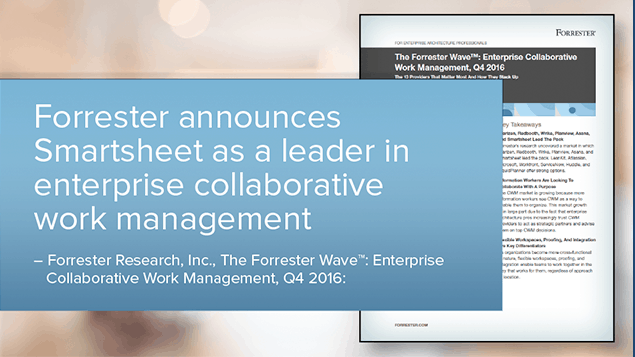 See why Forrester names Smartsheet a leader in enterprise collaborative work management. 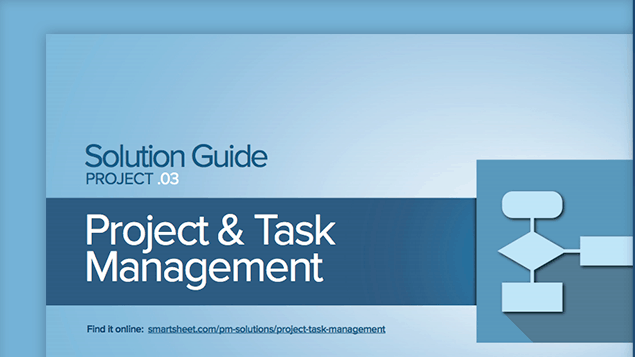 Download this guide for best practices on how to use Smartsheet to achieve your project and task management goals. 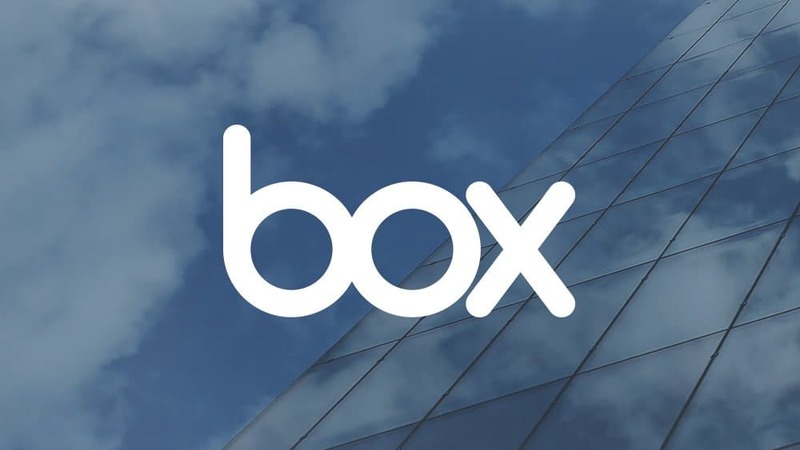 Box needed a solution that was mobile and scalable, for clear task tracking to handle complex event project plans and schedules. Colliers Wisconsin needed a platform to store information in the cloud, locate important details instantly, and prioritize maintenance tasks. Lead efficient team meetings with grouped tasks by priority, clearly assigned ownership, and symbols to note progress. 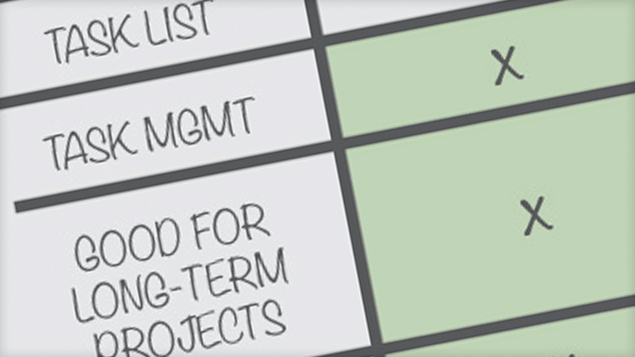 Use the Getting Things Done (GTD) methodology to organize tasks with conditional formatting. 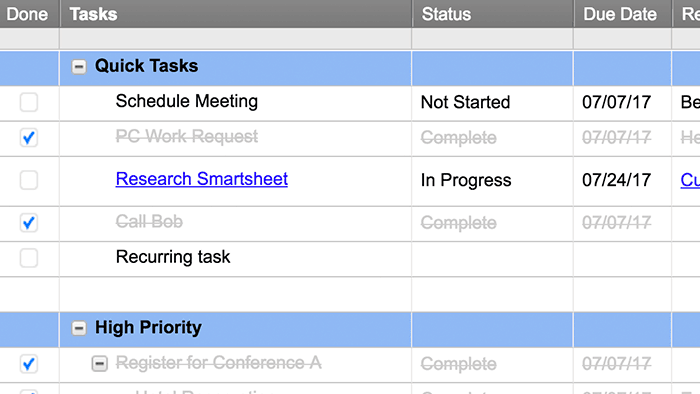 Create a centralized view of all of your responsibilities across multiple projects with this simple to-do list. Manage daily tasks more efficiently with one list. Easily prioritize and view tasks at the start of each day. Keep multiple team tasks on track. Share for increased transparency, visibility, and accountability. Track any number of regular tasks like maintenance, client touchpoints, rolling staff performance reviews, and more. 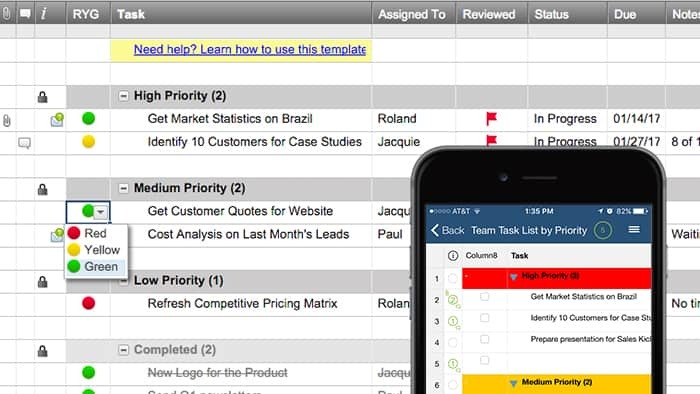 Join the 70,000 organizations of all sizes who use Smartsheet.